It was perishing in Bury yesterday. I had driven across the Pennine hills to the northern Manchester area to watch my beloved Hull City put our Lancashire hosts to the sword with a hat-trick from Arsenal loanee Chuba Akpom. It was bitterly cold at the historic Gigg Lane Stadium with hail and snow amidst spells of sunshine. Thankfully, I had had the foresight to purchase a woolly hat from Bury Market. A snip at £2 and red for visibility when out walking. I had arrived in Bury for the very first time at 10,30am, after a journey from home that took exactly one hour and fifteen minutes. Logically, my expectation was that the journey home would take roughly the same amount of time. Sheffield and Manchester are only thirty five miles apart but the most direct roads over the wild hills between these important northern cities are windy, double track routes - The Snake Pass and The Woodhead Pass. We tend to use The Snake Pass as it brings us into our city's south western suburbs whereas The Woodhead Pass brings you first to Stocksbridge and then Hillsborough to the north of the city. From the M60 Manchester ring road I took the M67 to Mottram and thence to Glossop. All was fine but given the cold and wintry showers, I had a nagging feeling that getting across The Snake Pass beyond Glossop could be problematic. However, I reached the moorland summit without incident or significant concern and that's when I wished I had used a different route. There was a police vehicle up ahead with blue lights flashing in the blackness as a blizzard blustered around. A few other cars were turning around and heading back to Glossop. I noticed a BMW slipping and sliding about and realised that the road over the summit had not been salted. It was treacherous and the snow was now beginning to settle. As I reached the police vehicle, my headlights illuminated two cars that had flipped over having left the road and another was down in the ditch at a forty five degree angle. A bobby made hand gestures that told me I had to turn back. Just turning around in those conditions wasn't easy with dropping verges at both sides of the tarmac but I made it and carefully returned to Glossop with hazard lights flashing. On the eastern edge of Glossop there was now a police road block and a sign saying "Road Closed" for would-be Snake Pass travellers. Marvellous! Then on to Mottram where I proceeded to The Woodhead Pass, hoping that it would be passable with care and so it was. Home called. Onwards to Langsett and Stocksbridge, then along to Deepcar and Middlewood and back into the city. I crossed our threshold at 8.15pm - three hours after jumping in the car at Bury and one hour and forty five minutes longer than the journey over had taken. Such is the dedication (or craziness) of staunch Hull City fans. Yesterday I was on safari once again - visiting another corner of this green and pleasant land. An hour's drive brought me to the hamlet of Budby in Nottinghamshire. Then it was boots on and off into the wilderness. I had intended to get there by ten o'clock because the weather forecast promised a lovely sunny morning with cloud coming over around 1pm but I didn't reach Budby till eleven. Ahead of me were the trees - lots of them - for I was walking through one of the best remaining sections of Sherwood Forest. This deciduous forest once covered a huge swathe of central England and what we see today are the mere vestiges of what once was. According to legend, it was in this area that Robin Hood and his merry men lurked, waiting to rob from the rich and give to the poor. It is said that Robin married Maid Marian at St Mary's Church in the village of Edwinstowe which is where I was heading. With all the tracks and paths that pass through the forest, I soon got lost, heading south west instead of south east. I caught up with a fat man in a long brown smock with a rope tied around his middle. His coarse woollen smock had a hood or cowl and the hair on the top of his head had been shaven off in the manner of a medieval monk. "Good morrow stranger," said the chubby fellow. "Whither go'est thou?" I explained to him that I was lost and looking for The Major Oak. He gave me directions in a form of English that seemed almost Shakespearean and when I showed him my digital camera he appeared genuinely astonished. "What manner of thing is this sire? Tis the devil's own device!" He refused to have his picture taken and looked rather sheepish when our paths separated at The Centre Tree. After visiting the ancient Major Oak, I too headed into Edwinstowe where I partook of an egg mayonaisse sandwich, a small scotch egg and a pint of milk from the local co-op. It was clouding over now as expected. Soon I was striding long the banks of The River Maun and back into the forest. Ahead of me an imposing Victorian building loomed up amidst the trees - Archway House. It was built under the instructions of The Duke of Portland in 1844 and was intended to be a feature upon his private driveway - a driveway that was never completed. Incredibly, he had planned his own private road, running twenty five miles from his lavish country seat at Welbeck Abbey all the way to Nottingham. Happily, parliament resisted his entreaties for the necessary permissions. It was, after all, an outrageous idea of Donald Trump-like proportions. I managed to get lost once again while heading back to Budby and imagined snuggling down for the night under a tree with squirrels and badgers. Maybe I would see a campfire glowing in the nearby clearing with shadows of men clanking pewter tankards together while singing "Greensleeves". But then Budby came into view once more. I like art and when I am in the mood, I love to visit an art gallery. Pictures, sculptures and art installations have the power to please us, provoke us, enlighten us, annoy us or completely turn us off. Humanity's ability to create art is surely one of our finest traits and in my book the making of art is far nobler than the making of money. When I was down in London in October I walked by The Camberwell College of Arts - an impressive Victorian building on Peckham Road. 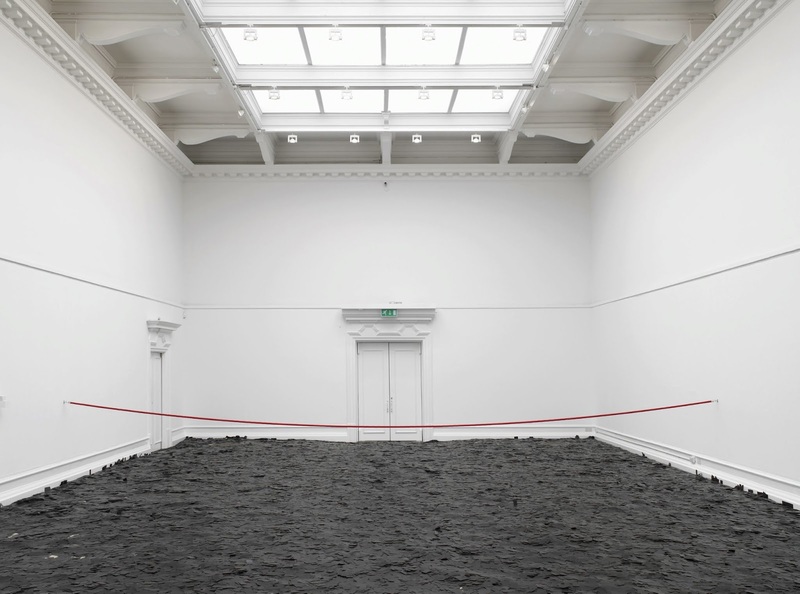 Part of it is devoted to The South London Gallery. There are even brown visitor signs in the area, directing art lovers to the gallery. On this past weekend's London trip, I went back. Frances and Shirley were happy to go along too. We went in and first of all checked out the bookshop with arty souvenirs also for sale. We noticed a bustling cafe that spilled out to the front of the building. It seemed popular with local families but we weren't there to sit in a cafe. We were hungry for art. There was a large and airy room beyond the bookshop. A few people were standing in it and some kids were skidding about on the floor which was covered with identical black business cards. In fact there were exactly one million of them and they had been spread there by Singapore-based "artist", Herman Chong. It's not the kind of thing that appeals to me. I think such stuff is trite, trendy and easy. Throwaway art based on self-indulgent art school notions. Those business cards said nothing to me. Then we looked for doorways and staircases that would lead us to other rooms in this so-called "gallery" but there were none. All that we had to look at was the pile of business cards. Had we missed something? I went to the book shop desk where the arty young woman on duty was maintaining her Facebook page. I began by asking her where the art was, explaining that we were paying a special visit to the place. Politely, she explained that The South London Gallery is not an art museum, it's a place where different artists come and go and different arty things happen. I smiled at her, thanked her and expressed my disappointment. It looked like an art gallery. The walls were white and there was a cafe and a bookshop but really there was no art. Later, when I checked out the reviews on Trip Advisor, previous visitors mainly focussed on the cafe - as if they had gone there to eat and drink, not to look at art. Quite baffling. As we walked away I apologised to my womenfolk but they were also astonished that it was possible to promote an art gallery that contains no art apart from a million business cards chucked all over a wooden floor. Up North we call a spade a spade and if we see a fish and chip shop we confidently expect it will sell fish and chips. Similarly, we expect art galleries to have galleries of art. The clue is in the name. Clearly in London, they think differently! Flow gently sweet Thames - out to the wide seas beyond this sceptred isle. Mercurial moonlight dances on the water's surface as we look out from Putney Wharf following Hull City's smash and grab performance at Fulham's Craven Cottage ground. A sparkling airliner north west of the moon makes its way to Heathrow. We won 1-0 with a late penalty from our Uruguayan striker - Abel Hernandez and all was well with the world. We walked back through Bishop's Park and over Putney Bridge to where the trusty Seat Ibiza was parked on Deodar Road. For a while at least, life always seems finer after a Hull City victory - especially away from home. It was a grand day out. After the game, we trundled around The South Circular Road towards Brixton and then on to Camberwell where The Delightful Daughter welcomed us. The Geological Boyfriend came along later and we all went out to a super Italian restaurant nearby - "Caravaggios" on Camberwell Church Street. A delicious and authentic southern Italian meal with fairly priced house wines and then on to "The Joiners' Arms" on Denmark Hill for two or three beers. A drunken young man kept complimenting us on our lovely eyes - especially The Delightful Daughter's eyes. He was full of bonhomie and we didn't mind. Luckily, The Geological Boyfriend did not feel tempted to test the hardness of a rock on this affable fellow's bonce. As we left, I was irked to see huddles of young adults in the murky alleyway next to the pub, smoking cigarettes. How I despise that sad and stinking habit and how pleased I am that I have now been a non-smoker for twenty eight years. And then back to The Cheap Hotel. Last time we were at the rear of it. This time at the front and you could hear the endless traffic passing below on Peckham Road, including ambulance sirens on their way to and from King's College Hospital. Fortunately, the Italian wine and the Worthington's beer allowed me through The Gateway of Sleep before many minutes had dissolved into that moonlit night and I dreamt I was walking in the Derbyshire hills with Abel Hernandez and Giuliano, singing, a traditional English ballad to the tune of "Jingle Bells" - "Oh what fun it is to see Hull City win away!". We are off to London in the morning. Gonna see The Tigers take on Fulham F.C. 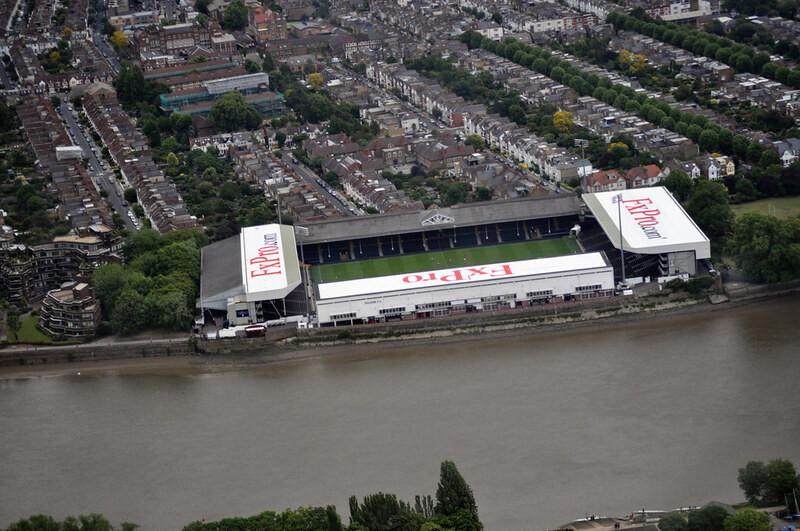 at Craven Cottage. Gonna see our lovely daughter Frances at Camberwell. Gonna have dinner in an Italian restaurant. Gonna drink some London beer. Gonna stay in a cheap hotel on Peckham Road. Gonna visit The South London Art Gallery on Sunday. Gonna discuss why "gonna" is an awful word. I forecast that we will win by two goals to one. Back on Sunday and here's another sickening word - "Ciao!" Regular visitors to this blog will remember my vulpine friend, Fred Fox. He disappeared in late summertime and has never returned. Occasionally, we now see a different fox in our garden. I shall call him Beefy Fox because in comparison with Fred, Beefy looks as if he has been on a course of steroids. Thick set neck and forelegs like an Olympic weightlifter's arms, Beefy glares with the malevolence of a thug. One day I hope to snap a picture of him if he will just hang about on our lawn long enough. The previous paragraph is a lie! To make the picture I simply used our version of "Word" from Microsoft Office. Under "Format Picture" I went to "Artistic Effects" and then selected "Cutout" from the pre-sets. It was all very easy and then I increased the number of colours to six. It seems to work. Even Yorkshire's finest living artist - David Hockney has not been embarrassed to experiment with similar computer facilities to create interesting and attractive images. But is it Art? Think about these two words: terraced and terrorist. They sound very similar don't they? And that's how it appeared to a ten year old boy in Lancashire when he was asked to write an autobiographical essay at school. He wrote that he lived in a terrorist house - the sort of mistake I saw thousands of times in my illustrious teaching career. In fact, he lives in a terraced house. Normally such everyday errors do not make the national news but the Lancastrian boy in question belongs to the Muslim faith. He was duly reported to the authorities and later interviewed at home by the police. Under the 2015 Counter Terrorism and Security Act, they investigated the family's laptop and took quite a while to convince themselves that there was nothing to be alarmed about. It had all been a silly mix up. For news report go here. Meanwhile in London, a parliamentary committee has whitewashed away a 560,000 name petition that called for Donald Trump to be barred from entering Britain. I signed this petition myself. Amongst other reasons for signing it, I noted that several Islamic rabble rousers have already been barred from entering Britain. Yet in that parliamentary committee room they dragged out the "free speech" defence, saying that in a democracy barring folk is not the answer. So Trump has effectively got away with his inflammatory ignorance and his unfounded depiction of London as a city with Muslim no-go areas. I find it amusing that the word "trump" is frequently used in British homes as a polite alternative to "fart". Watching television, a parent might say to a child, "Did you just trump?" or that same parent might apologise for his or her own flatulence - "Pardon me, I've just trumped." 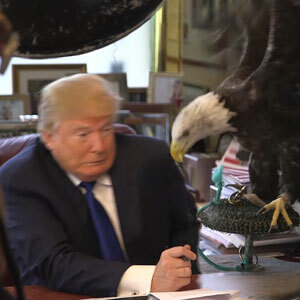 And when I see images of that boorish golden-haired egotist, flaunting his ignorance and personal ambition all I can think is -"Even if you are elected, you'll still be named after a resounding and probably very smelly fart!" There's a scene in the second half of "The Revenant" when, in order to survive the night, frontiersman Hugh Glass removes the innards from his just dead horse and climbs inside the rib cage to sleep. Glass is played superbly by Leonardo DiCaprio in a film that pulses with physicality. Davy Crockett may have been "the king of the wild frontier" but I am sure that his particular frontier was sugar-coated. In contrast, the wild frontier created by director Alejandro G. Iñárritu is truly wild, brutal and yet sometimes breathlessly beautiful. In this landscape, white men are seeking their fortunes as fur trappers while native American tribes battle to hang on to their vanishing world. It is cold and the pine forests are tall. Icy rivers run through the mountains and wild animals stalk this challenging wilderness. DiCaprio as Glass seeks revenge for the needless murder of his son. His quarry is the amoral, opportunist - Fitzgerald played by Tom Hardy. Like Christian in John Bunyan's "A Pilgrim's Progress" Glass has many trials to face as he pursues his vengeful destiny - not least of which is a fearsome attack by a huge grizzly bear. 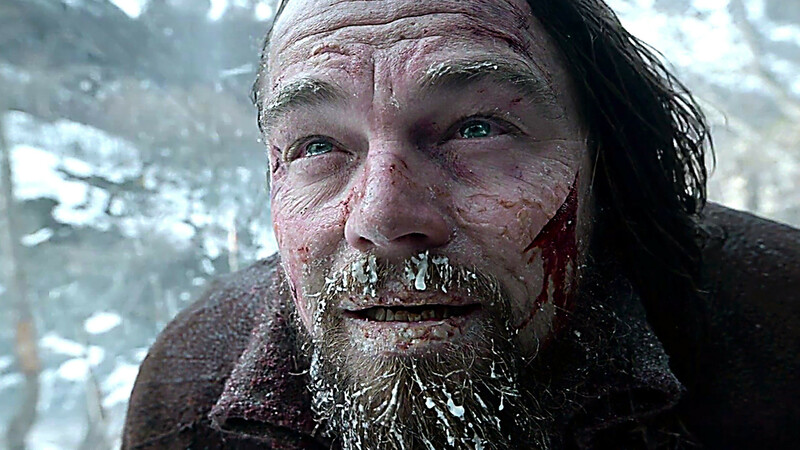 Throughout "The Revenant" you hear DiCaprio's heavy breathing, his grunting, his pain. It is a remarkable performance, enhanced by Iñárritu's vision and the team he gathered around him to make this marvel of modern cinematography. If Leonardo does not receive the best actor award at this year's Oscars, then I will eat my hat which is by the way a woollen Hull City beanie. I had planned to visit the cinema yesterday to watch "The Revenant" but with bright blue skies and wintry sunshine confidently predicted, I decided to forego that pleasure. Instead, I sought somewhere I had never walked before. My alter ego whispered, "Go east young man" and soon I was driving down to Chesterfield, then east on the A617 towards Mansfield. Through Mansfield then out on the Newark road. After three or four miles I turned left down Eakring Lane. I parked by the village church at Eakring and then set off on a very pleasant circular walk that took in three other villages - Kneesall, Kersall and Maplebeck. In between was gently undulating farmland and some stretches of the route I had planned took me across winter corn and beet fields. Then the walking became a little arduous as my purchase upon the ground was troubled by slightly icy muddiness underfoot. To walk in unfamiliar territory is delightful. New vistas. A different history. In that part of Nottinghamshire, the field boundaries are marked by hedgerows - not ancient drystone walls and the favoured building material of bygone days was brick - not stone. There are few quarries in the region but our ancestors still managed to build their churches from stone which must have been imported with massive effort from elsewhere. Being mid-January, the bright winter sun was on its way to America by 3.45pm so a military march was required to get back to Eakring before nightfall. I had seen an undiscovered fragment of England - chosen randomly but I was not disappointed. It would have been easy to linger thereabouts for a few days - drinking and eating in the pubs, learning more about the area's history and perhaps visiting the oil well museum in the splendidly named Pudding Poke Wood! Roger de Busli was granted the lands around Tickhill and Blyth soon after The Norman Conquest which followed The Battle of Hastings (1066). Tickhill or Dadesley as it was then known had been an important Saxon stronghold and it was here that Roger de Busli, arranged for the building of his fortress in the typical Norman style. Vast quantities of earth were moved to develop the mound on which his castle was built. It must have been a huge undertaking but the castle would have made an impressive statement to his new and privately suspicious subjects. For the following five hundred years the castle played an important role in the governance of this part of England but in 1647, after The English Civil War, much of it was demolished - including the Norman keep. Only its substantial foundations remain along with the gatehouse and part of the moat. The castle grounds are rarely open to the general public and they are overseen by The Duchy of Lancaster as they have been since 1362. That is where I parked yesterday before setting off on an ancient path that once linked Tickhill with Blyth. But I wasn't bound for Blyth. After half a mile, I turned eastwards under the A1 motorway and entered the village of Harworth. For most of its history, Harworth had been a small and quite insignificant agricultural village until deep coal mining commenced there just before the outbreak of World War One. Soon the population exploded. Rows of miners' cottages were built along with shops, schools and other local facilities. It became a hardworking industrial place where money was persistently tight even though the mine was always very profitable. In the late eighties a huge pithead tower was built to house the winding gear and up-to-date ventilation machinery. Though most of the other pithead buildings have now gone, the concrete tower remains, watching over the local landscape just like the keep of Tickhill Castle in bygone years. Officially it is said that Harworth Colliery has simply been "mothballed" but it is now ten years since work ceased there. Millions of tons of coal still lie underground but I very much doubt they will ever see the light of day. The infrastructure has been broken and on the colliery land new housing estates are rising. I left Harworth via the Tickhill Road and once back in Tickhill diverted to the magnificent St Mary's Church - though by then the light was fading as another winter night approached. Back at the car, I vowed to check out Tickhill Castle open days and to plan a trip back - perhaps in the summertime when leaves have dressed the trees once more and the humming of insects under a bright blue sky can again be heard. Such days seem quite far off right now. "Men and women should drink no more than 14 units of alcohol a week - the equivalent of six pints of average strength beer or seven glasses of wine - in order to keep their health risks low, new government guidelines have recommended." That's the latest official health advice in Britain. The grim-faced "experts" warn us about cancers of the mouth and intestines, obesity, clinical depression, breast cancer in women, liver and kidney failure, heart disease. And so it goes on. However, these killjoy prophets of doom fail to acknowledge the benefits that moderate consumption of alcohol can bring. The laughter, the lubrication of conversation, the relaxation, the social nourishment. And they also fail to explain away the fact that the consumption of alcohol has been a part of daily living in Britain since the Romans first came to these islands. Most British adults enjoy a tipple. I am not talking about binge drinking or excessive consumption but sensible enjoyment of beers, cider, wine and spirits - whatever floats your boat. Alcohol has been part of my life for forty five years and I haven't been buried yet nor have I suffered any health complaints connected with alcohol so how am I meant to take this fourteen unit advice seriously? I guess that the sour-faced experts would prefer it if we all went to bed at 9pm, ate salads ever day, visited the gym three times a week and went to church on Sundays. If I limited myself to fourteen units a week I might as well just forget drinking at all. Besides what is life for? The champions of The Unit Religion never seem to address that fundamental matter. Even as I write this post, I am drinking a lovely bottle of "Henney's" Classic Cider from Herefordshire and it's a nice drink too - probably two and a half units of my weekly allowance. But tomorrow night I will be going to the pub quiz at "The Hammer and Pincers" where I expect I'll sup four pints of India Pale Ale by "Greene King". How many units is that? Probably nine. I hate that word "units" anyway. It sounds scientific and measurable. I prefer a different kind of language for alcohol. Visiting the Henney's website, I find these kind of words in place of "units" and miserable research vocabulary - "Sweet appley aroma, palate has a delicious bittersweet apple character with some spicy bite and a bit of tannuc grip. Very fruity and quite pure with a nice savoury twist." So in conclusion, I won't be buying a unit notebook any time soon in order to keep a detailed tally of my alcohol consumption and I certainly won't be toasting the proponents of the fourteen unit idea. The only concession I shall make is to try a bit harder to ensure that there are two or even three days a week when I don't drink any alcohol at all. To the left of the top bar in each Blogger blog there's a little blank box with a "search" magnifying icon next to it. It took me a few years to even notice this clever search facility. It allows us to make searches of particular blogs - seeking the use of individual words or phrases. Then Blogger will quickly reveal to us the various posts in which this word or phrase has appeared in past postings. For example, search for "male hunks" in "Kitchen Connection" and you will discover dozens of related posts. Or search "Rhymes With Plague" for "heavy metal music" or "Barack Obama fan club"and many old posts will be regurgitated. I was with Shirley on Sunday afternoon - driving over the moors towards The Hope Valley and, upon noticing dramatic January light illuminating the millstone escarpment of Stanage Edge, I just had to pull over to snap the picture you see at the top of this post. Back home, before making this post, I used the blog search facility - inserting the word "Stanage"and discovered that I have previously made twelve blogposts in which Stanage Edge figures strongly. There are even two posts that are titled "Stanage". If you have never used the built-in search facility to comb through your own blog, or indeed other people's blogs, you might like to give it a try. It can be useful and indeed illuminating - like the light on Stanage Edge. Hello again. Your jolly blog host saw some ugly weather in the past week. Grey skies, teaming rain and puddles. The swishing of windscreen wipers. One's coat hood pulled up in eskimo fashion. One's little face peeping out with mouth turned down. Early January - rarely the best time of year in the northern hemisphere. Yet there were some clement hours when the rain went home for lunch and Mr Sun peeped through the clouds. On Friday afternoon, your jolly blog host wandered around a part of Sheffield that overlooks the Don Valley. In the city's industrial past, this valley was our smoky workshop. The thumping of steam hammers. The blinding satanic glow of furnaces. Workers lived in terraced streets that marched up the valley side. But that was then and this is now. On Saturday, I drove over to Hull to watch The Tigers with old friend Tony. It was the third round of the F.A.Cup and we deservedly beat Brighton thanks to a Robert Snodgrass penalty that almost burst the net. On the way over, I followed a voluntary diversion into the town of Goole (Population 17,500). It is where my brother Robin was born and it is still a significant inland port. Happily, neither of the parking ticket machines in the car park were working so I was able to write a joyful message on an envelope "Machine Not Working - 11.30am" and this I duly left on my dashboard before strolling about the town like a secret agent on a spying mission. An hour and twenty minutes was not long enough. Your jolly blog host must go back to see some more including the Yorkshire Waterways Museum, Old Goole and the docks. Without clever drainage methods and without the docks, Goole would not even exist. It is a flat, watery and characterful settlement at the end of the River Ouse, close to the meeting places of other rivers that feed into The Humber. Admittedly, all the words typed above were just an excuse for posting more pictures. Image is everything. Town on the left. River Ouse on the right. The banking is vital to prevent flooding. If you are a news junkie like me you find yourself bombarded by tragic stories. Stories of warfare and shooting. Murders, pestilence, weather events, man's inhumanity to man. After a while you become slightly inured to it all. But once in a while a story crops up that really sticks in your gullet and so it has been with a story I heard this week from Kalkan and Deniz's homeland - Turkey. You will all have seen images of refugees packed aboard little boats, making for Grecian isles in the good old European Union. These desperate people are not allowed to board regular, approved ferries that would bring them safely to the islands. Instead, they have to shell out wads of cash to low-life people smugglers, fishermen and other greedy entrepreneurs in order to make the hazardous crossings. Far too many have drowned while the world has stood idly by - just watching. Puzzlingly, many of these refugees lost at sea were wearing orange life jackets. 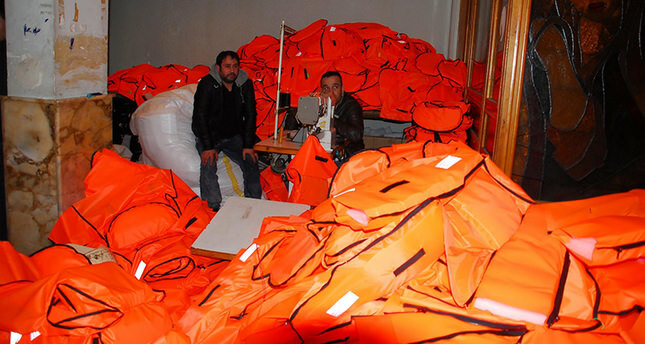 Turkish police have raided one small factory in Izmir where cheap life jackets were being produced. Utterly useless, these things are filled with cheap packing materials that will not aid flotation in any way. In fact, they probably make survival less likely as they absorb water and become heavy encumbrances. Of course, the majority of refugees have been Syrian yet in the Izmir factory the police found two young Syrian girls amongst the workforce - helping to make these useless death jackets. How tragically ironic! The mentality of profit hungry opportunists leaping upon the understandably cautious refugees' desire for some degree of safety is quite abominable and not an outlook with which I have any empathy whatsoever. I don't like to swear in this blog but to me they are heartless bastards and I cannot think of an alternative word to properly describe these sub-human crooks. Will the Turkish authorities or international courts successfully charge these vile people with being accessories to murder? Somehow I doubt it. They will get away with their blood money. There are probably other small businesses doing just the same right now as more refugees look hopefully across the Aegean. Once in Serbia, the refugees are bused free of charge to the northern border with Croatia so why can't this happen down in Turkey - free crossings on official ferries that are perfectly safe and upon which there isn't even any need for passengers to wear life jackets? As I say, the fake life jacket scandal is one of the most horrible stories I have heard in a while. Because of it, countless people have drowned. I know that there are other opportunist refugees leaping on the Syrian crisis to get into Europe but nobody deserves to die like that wearing a cheap life jacket stuffed with packing material. What are the United Nations doing? What is the damnable European Union doing? Their silence is deafening. DENIZ Oh I wish I was back in Turkey - our beloved homeland. KALKAN Me too. I never wanted to emigrate. I was happy back in Turkey. DENIZ It was always warm there and the sea down in the bay was aquamarine. KALKAN You could hear the donkeys baying from the hills. DENIZ And the old women dressed in black, lugging firewood home in sacks. DENIZ Their skin leathery and their gold teeth catching the light. They sat for hours by the tavern. KALKAN The aroma of barbecued lamb and grilled pitta bread hanging in the air. DENIZ No Kalkan. I never wanted to emigrate either. KALKAN But there was no work Deniz. We had to leave. DENIZ You wanted Germany just like your cousin Kamal in Ludwigsburg. KALKAN But you wanted England where The Queen lives, You said we'd find work there. DENIZ And so we did. KALKAN Remember that week in The Jungle at Calais? DENIZ It was awful. I couldn't sleep at night. I was so scared. KALKAN And then we sneaked aboard that Norbert Dentressangle truck with the Afghans. DENIZ The driver was none the wiser. KALKAN Brought us all the way here to Yorkshire. DENIZ But how did we get to Pudding Towers? KALKAN I don't know. We must have fallen asleep. DENIZ The mistress is so gentle. The way she shakes us I mean. So gentle. KALKAN But the master is so rough. I feel my brains jiggling in my skull when he shakes with his big tiger paws. DENIZ I know what you mean Kalkan. He's beastly...Oh I wish I was back in Turkey. KALKAN Me too. He'll be making chilli con carne tonight. DENIZ Brace yourself my friend. Looks like you need filling up. You're almost empty inside. Mattersey is a village in North Nottinghamshire. Away from the main road, it is a peaceful place with a long history. There's an ancient church and some substantial properties that speak of the village's significance in past times. Certainly, its location - close to the navigable River Idle would have been important. Though the Idle is really just a large stream, it would have facilitated trade with the medieval port of Bawtry a few miles away and from there, The River Trent, The Humber and The North Sea. Many times I have driven past the Mattersey road junction at nearby Everton but I had never been there till yesterday. I had a particular goal in mind and this involved driving along Abbey Road east of the village. Not the tarmacked Abbey Road made famous by The Beatles but a rough track with potholes and puddles. Its construction commenced in 1185. The small Gilbertine priory was home to a dozen monks plus lay workers and for three hundred and fifty years it held economic and spiritual sway over the surrounding area. Of course there are no stone quarries thereabouts so the stone used to build Mattersey Priory must have been brought on rafts from Bawtry. It was probably extracted from quarries at Maltby - some twelve miles away. Like other monastic settlements, the priory's power and very existence stuttered to a halt during the reign of Henry VIII and it was left in ruins. No doubt many of the original stones were purloined by local builders and I am sure that many were used to build the adjacent Abbey Farm. That's how it was in past centuries. Many historical buildings were treated like stone quarries. The same thing happened to lots of disused Greek and Roman structures. I was alone at Mattersey Priory, wandering about the ruins. Not many people are as daft as me - weaving along a dirt track in early January after the wettest December on record just to see a pile of stones. But those stones sing eloquently of past times... the monks, religious belief, survival, superstition, government and the babbling River Idle, weaving its way to Bawtry and beyond in times when The Americas and Australia were undreamed of and our world was not only flat but the epicentre of the entire universe.